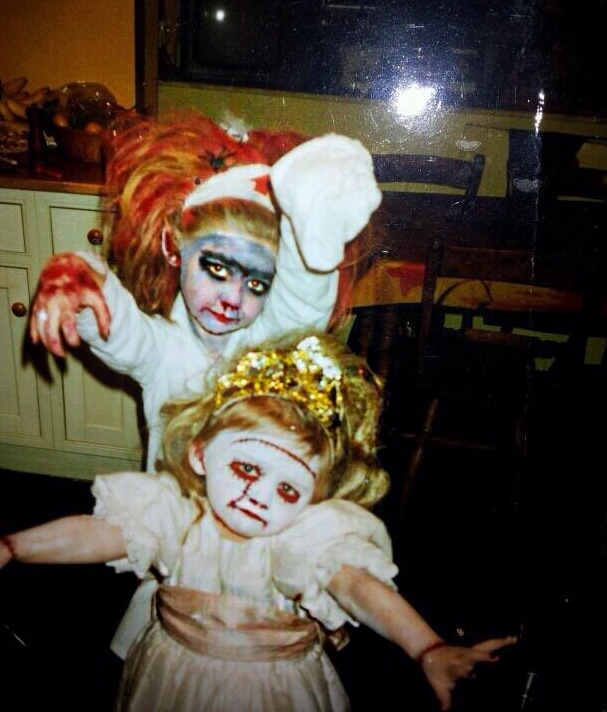 Hattie and I love Halloween, since we were children we have always loved fancy dress! We often frightened other children because our mum made us look so scary but we used to win all the dressing up competitions. This picture is of us when I was about 7 and Hattie was 4. I still can’t believe our mum did this to us!! Although we still love going all out and getting really into fancy dress, sometimes there just isn’t time and let’s face it sometimes we want to still look nice. 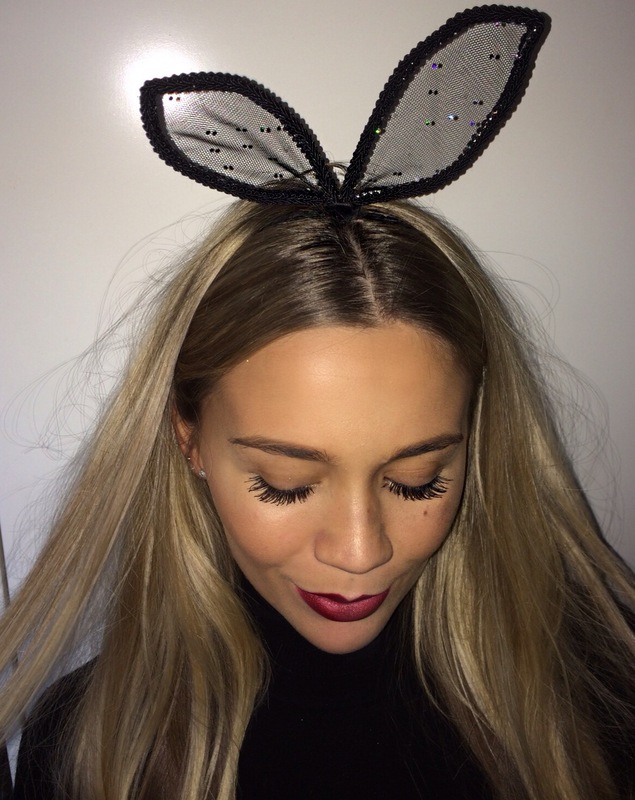 For those of you like us that want to be more Halloween glam then walking dead, here are a few Halloween inspired makeup looks and accesories we found and love. 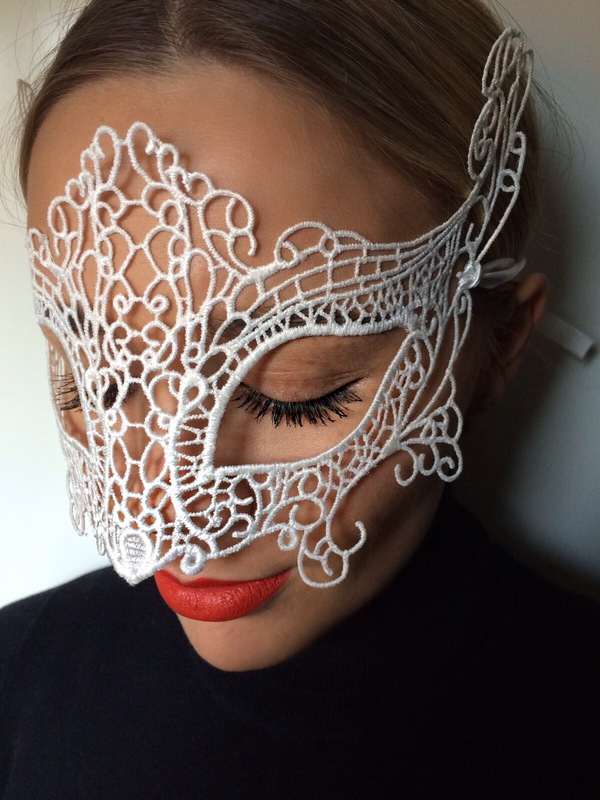 We thought this would be great for a Halloween night out or an event if you don’t want to really over do it. 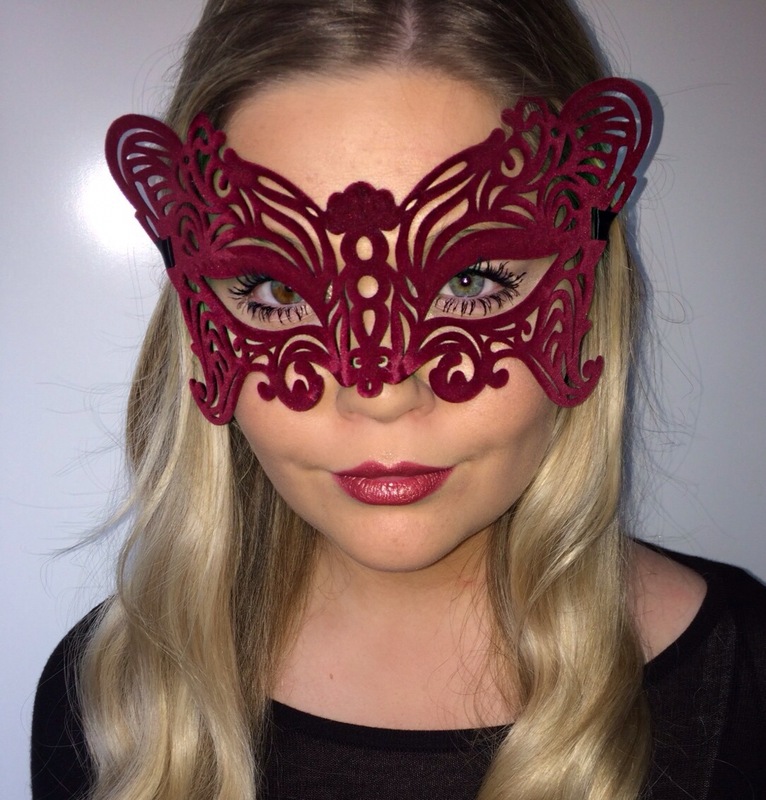 Masks are a really quick and easy way to do Halloween. They’re great as you don’t have to keep them on all night but make such a statement along with a bold lip. 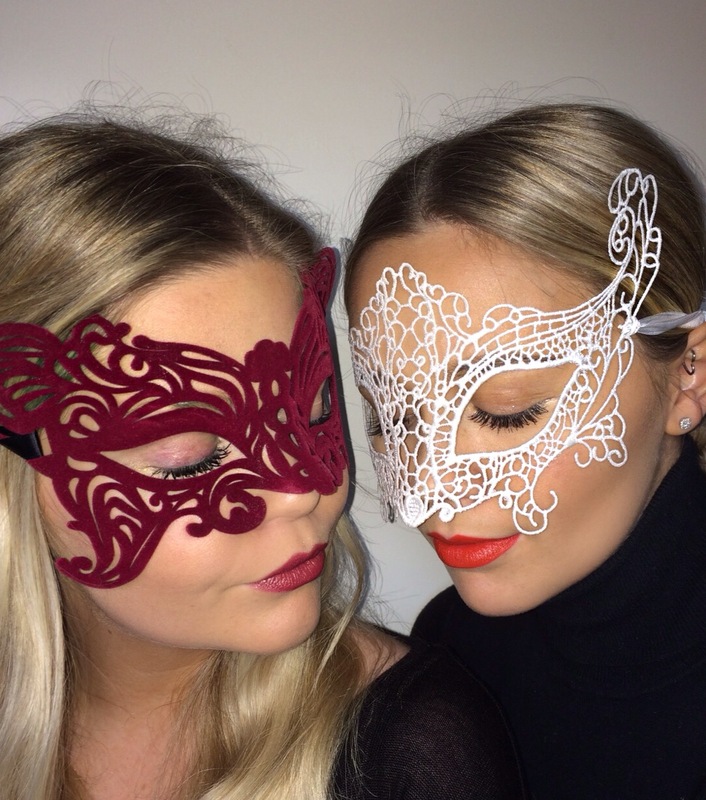 My mask is from H&M and my lip colour matches perfectly from NARS – Dressed to kill. This is one of my favourite lipsticks although it’s not for everyday it has a subtle sparkle to it which I really love. 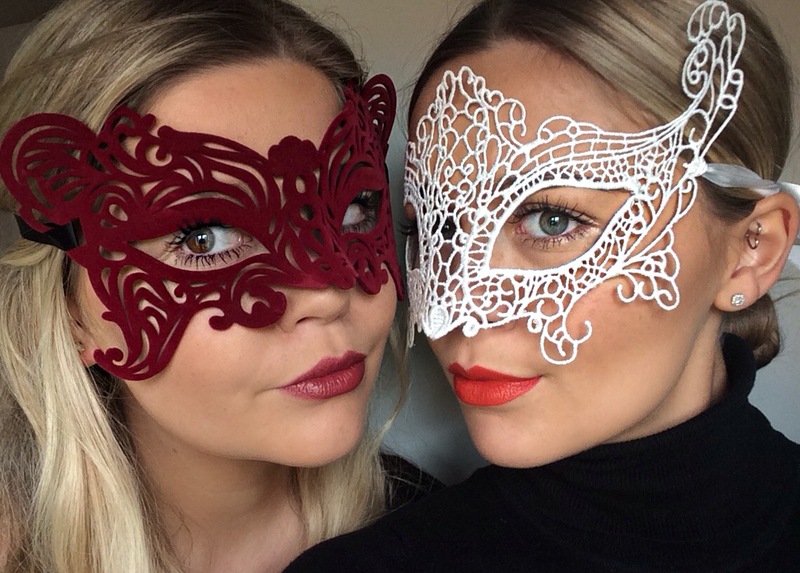 Hattie’s mask is ASOS and looks amazing against her orange lip from MAC – So chaud. 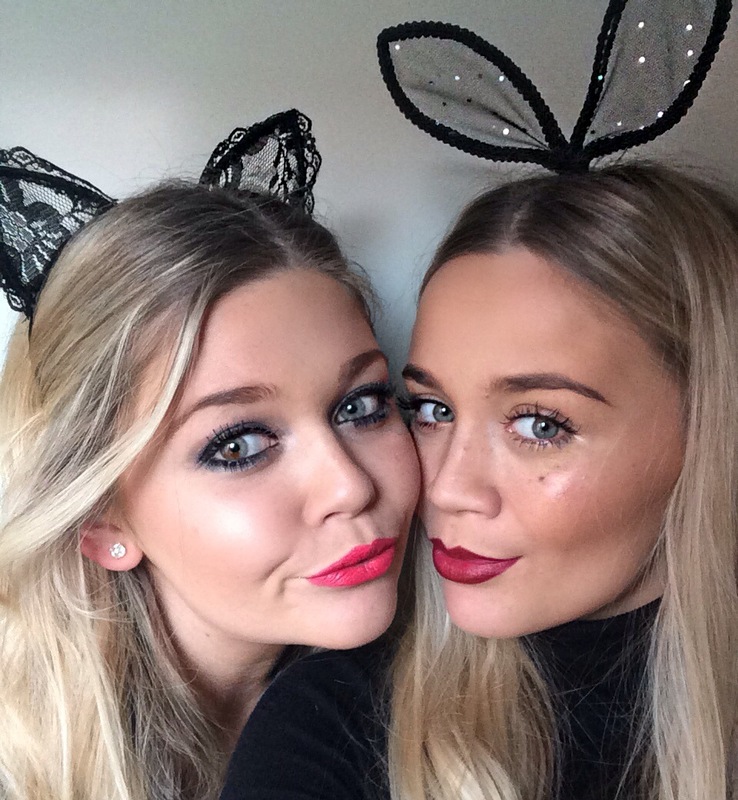 We had so much fun with these looks and wish we could dress up like this more often, once a year just isn’t enough! These headbands are so cute and would look really cool with a full on Halloween face paint but we’ve opted for something more girly and glam. My headband is Riverisland and Hattie’s is ASOS. For my smokey eyes I used the Naked pallete 2 by Urban Decay which has such great neutrals and dark colours in. I used Eyeko liquid eyeliner on the top of my eyes which is just amazing, I would definitely reccomend this if you’re a regular liquid liner user and for under I used TOPSHOP smoke stick. 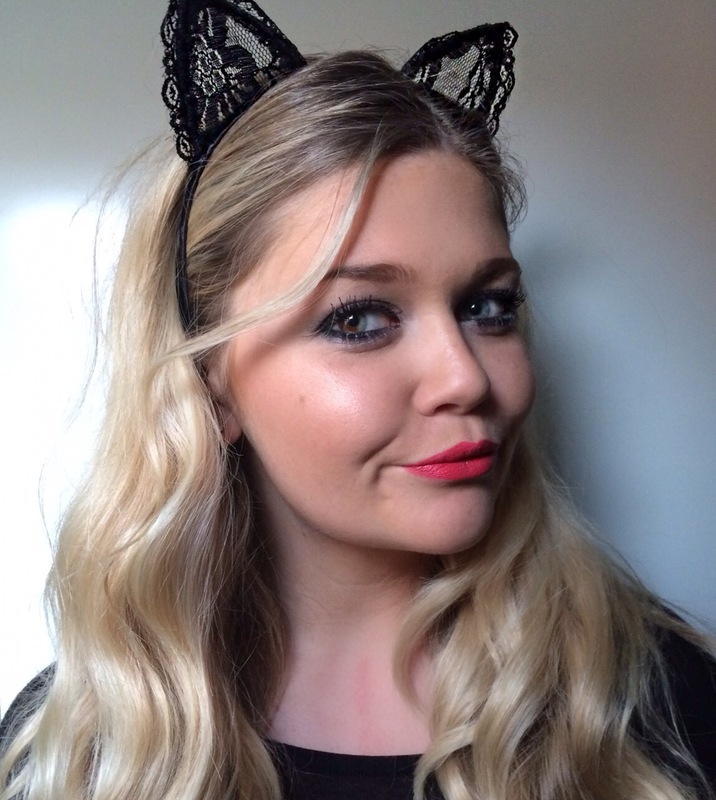 My lip colour is NARS – KELLY which I love in contrast to the dark eyes. 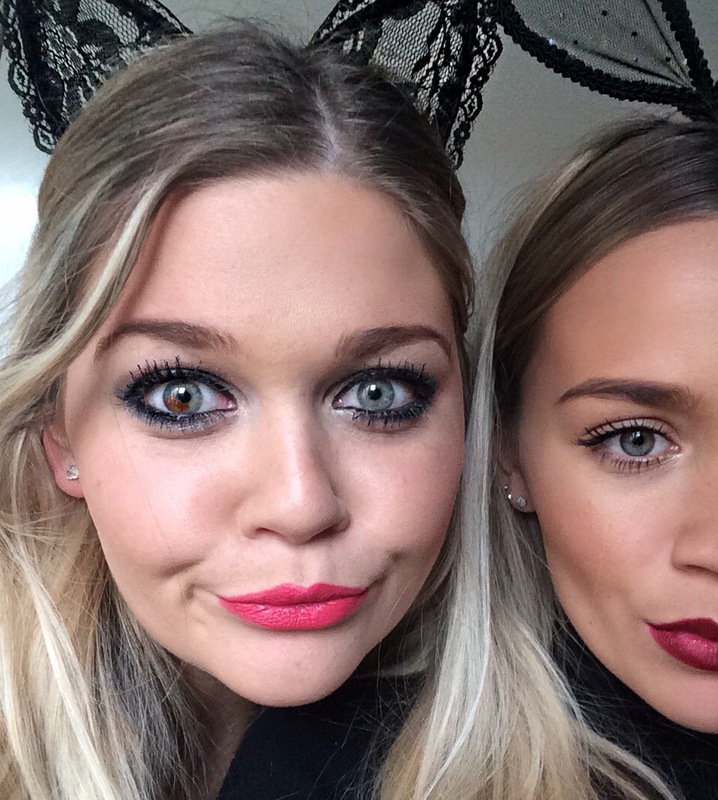 Hattie’s dark lip colour is NARS – JEANNE which looks so good with her olive skin.. Jealous!